Have you ever picked up that book that spoke to your core? 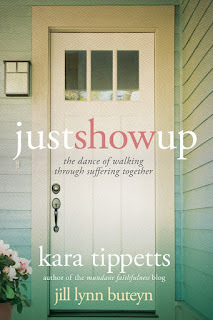 That is exactly what Kara Tippetts and Jill Lynn Buteyn Just Show Up did for me! 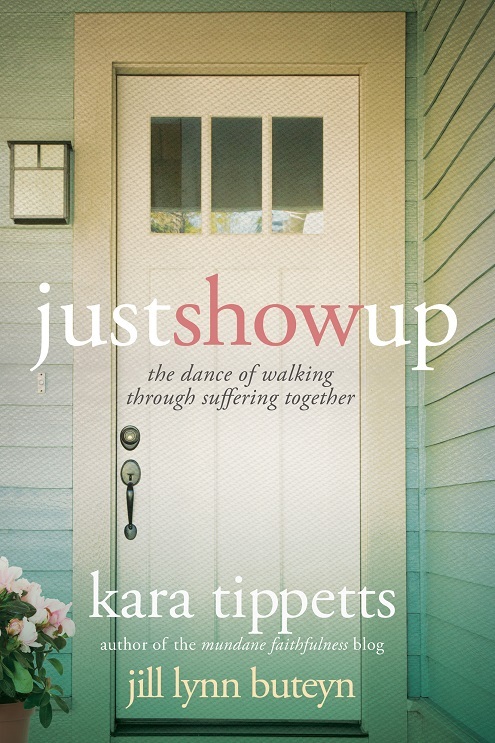 While Kara was battling cancer, the two decided to write a book together...a book that can only be described as WOW. It came at the right time for me to get a good dose of "lessons learned." I realized, I haven't been showing up for my friends. And I've not allowed them to show up for me. I've gone through my own hard alone, and allowed them to walk their hard with out me due to fear. Fear of loss. Fear of looking silly. Fear of intruding. Fear of....I don't even know! I have a friend now facing cancer, and it's a hard I can't even begin to imagine....but I now understand how I can make that hard a little softer. And I plan to do just that. But beyond helping you learn how to truly be there for a friend (or allow friends to be there for you) it opened my eyes to my own social anxiety. This book has made me realize I give into my anxiety when I need to embrace it, see it, acknowledge it, and deal with it to live a more productive and well meaning life. I high recommend picking up a copy of this book for yourself!